Diana Bonyhadi has been practicing yoga for over twenty-five years and has been teaching for twelve. Her style reflects her commitment to wholeness, through strength, flexibility and self-awareness. Her classes draw upon the wisdom and teachings of the Hatha, Iyengar, Ayurvedic, Anusara and Vinyasa yoga traditions. Diana has studied with many exceptional teachers, including; Theresa Elliott, Kathryn Payne, Kelly Rush, Anna Forest, Sara Powers, Denise Benitez, Aadil Palkhivala & Rodney Yee. She continues her studies in yoga therapeutics, anatomy & wellness with both Doug Keller and Judith Lassiter. Ever the yoga nerd, she also participates in sutra study groups exploring the sutras of Pantanjali, Abinavagupta, Pratyabhijna-hrdayam and the Upanishads. 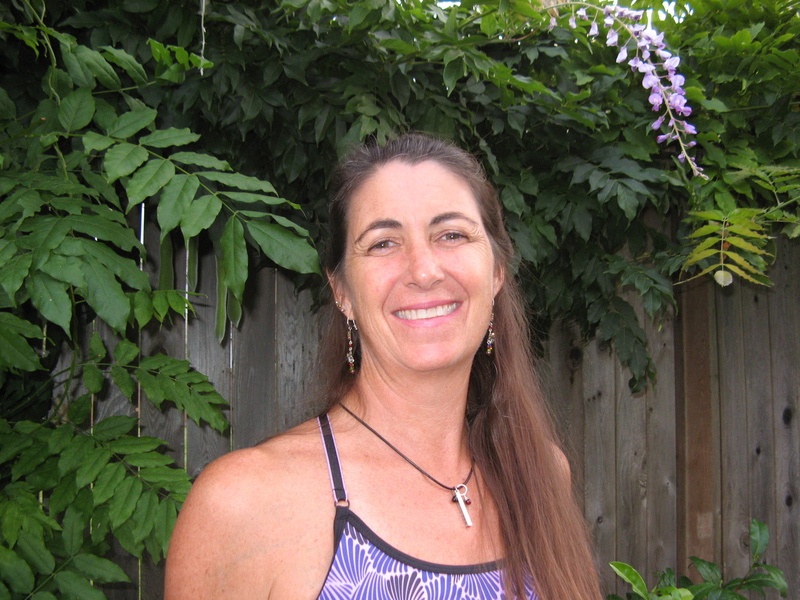 Diana is a dedicated practitioner and compassionate teacher. Working with students to personalize their practice to address specific health concerns is one of Diana’s most unique and powerful strengths. Diana brings her love of life and bright spirit to teaching, encouraging her students to reach, relax, and laugh as they explore the infinite possibilities of yoga. Diana is certified at the E200 hour level with Yoga Alliance, a nationally recognized yoga certification organization, and has over 500 additional teacher training hours with many of the world most respected yoga instructors. Diana Bonyhadi, a yogi, a mediator, a sailor. I’m contacting you in regards to kharmabellayoga.wordpress.com. I’d like to offer you a timely article focusing on the benefits yoga has to offer those battling various forms of cancer. My two passions are yoga and writing, hope I can share that with you. Please let me know if this is something that interests you. Hope to hear from you soon.